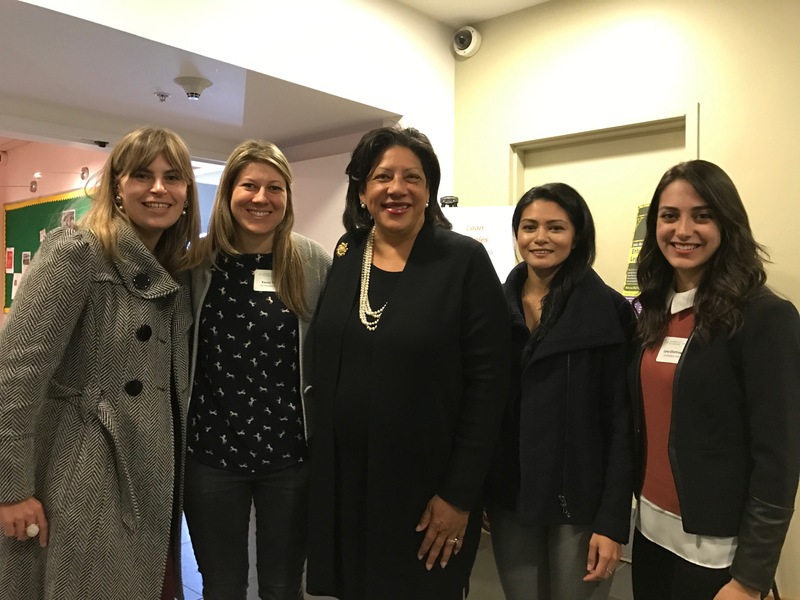 On February 28, the University of San Francisco School of Law Women’s Law Association (WLA) and the Technology, Entrepreneur, and Startup Law Association (TESLA) hosted three female leaders in tech law. These women discussed the challenges they face in a historically male-dominated profession and advised law students on ways to penetrate gender barriers early on in their careers. Aileen Casanave, a USF alum and Deputy General Counsel at Jiff, Inc., discussed how she transitioned from corporate law to a tech startup and some of the similarities and differences in workplace cultures. A common issue that Aileen encountered was the lack of authority women were perceived to have, regardless of their title. To combat this perception, she shared how she learned to command a room. She emphasized how imperative it is to understand other team’s lingo and industry vernacular in order to gain their respect and trust. And as a long-term benefit, the reciprocity lightens her workload (and makes her SO happy) when she knows that other teams are equipped to solve minor legal issues on their own. As a seasoned attorney, Aileen reminded the audience that one’s career path will constantly shift, requiring flexibility and the aptitude to learn how to wear a plethora of hats. Kenesa Ahmad, co-founder of Women in Security and Privacy (WISP) and founder of Aleada Consulting, offered wise words for navigating networking situations and maximizing one’s limited time. As a self-declared introvert, she explained that attending networking events helped her make genuine, lasting connections as she would only speak to a few targeted individuals, instead of attempting to meet everyone in the room. She strategically utilized her ability to connect with others to develop and build her career within the data security and information privacy community. After immersing herself in the privacy field, Kenesa recognized the need for women to have their own space and co-founded WISP. This organization serves to empower women by broadening networks, creating access to job opportunities, and developing leadership skills. WISP helped springboard her to start her own security and privacy consulting company (Aleada Consulting) with two other WISP members. By sharing her experiences and career journey, students have a strong understanding of the power of networking and how taking action to address an untapped need can lead to greater career opportunities for women. Olga Mack, General Counsel at Clearslide, a leading sales and marketing engagement platform, and founder of Women Serve on Boards, discussed her “wtf moment” when she realized that men would occasionally ask her who she was with when she attended various leadership events. Having transitioned from Big Law to non-profit, to Fortune 500 company to a start-up, she acknowledged that each position was perfect at that time. Each position was an opportunity to learn and add to her skillset, so now she feels confident as General Counsel and other board positions that she holds at various early stage startups. These women were positive in their messages, and their guidance resonated strongly with students. They reassured soon-to-be young professionals that they have a choice in their career trajectory and that they should make decisions based on what is best for them at that stage of their career. For example, being General Counsel was described as glorified babysitting, so if people were interested more in legal research and writing then being the Assistant General Counsel might be a better fit. Or if one is interested in participating in conversations surrounding critical business decisions, then an executive role might be the position to strive for in the future. Given the changing gender dynamics within tech and law, it is vital to continue conversations about the adversity women face. 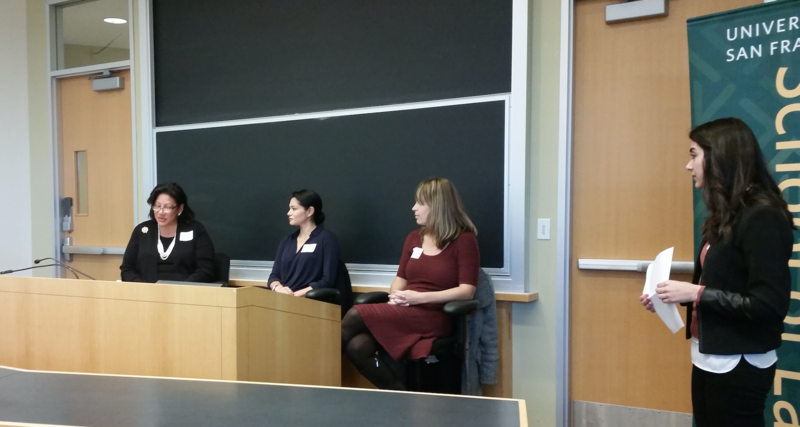 It is equally important for law schools to host these types of panels so that students are equipped with the tools to face these challenges, can shrink gender inequity, and are exposed to alternative legal career paths. This article is co-authored with Lena Ghamrawi and Rahul Devnani and originally published on LinkedIn.